OurEnergyPolicy.org | Should the Crude Oil Export Ban Be Lifted? Should the Crude Oil Export Ban Be Lifted? Energy Secretary Ernest Moniz recently acknowledged that it may be time to lift the ban on exporting crude oil, a comment that elicited a flurry of support and opposition toward the idea and highlighted the need for a thorough debate on the issue. Should the ban on crude oil exports be lifted? What would be the economic and national security impacts of lifting the ban? 6 Responses to Should the Crude Oil Export Ban Be Lifted? The national security case for lifting the ban on crude oil exports is crystal clear. We live in an interdependent world and depend on support from the economic health of our allies in Europe and Asia. Hoarding our newly abundant oil would be a betrayal of our alliances. Petroleum and natural gas are finite resources. Demand will always exceed supply, meaning world economic growth and need for energy will be at a faster pace than our ability to access newer resource supplies. Since the United States is a net-energy importing nation, we require more than we produce. How would allowing exports help our economy ? Using our own petroleum or natural gas, frees up reserves from other energy producers, which helps our allies. The moment we drop these resources on the world market, they are subject to global economic forces and they will not only rise, but rise and fall more precipitously having an eve greater negative impact on our economy. Bloomberg describes US becoming the world’s dominant oil producer as a result of it’s shale deposits, but “U.S. output will plateau after 2020 and the nation will lose its top ranking at the start of the 2030s” according to the IEA. John Curtis. of the Colorado School of Mines, has estimated there are about 1,898 tcf of recoverable gas resources in the U.S. The nation’s gas producers pumped out 23 tcf last year, he said. Divide 1,898 by 23 and you get 82.5 years of supply. The point being we have the gift of one generation. We need to conserve these resources with the maximum energy efficiency improvements we can muster. Saving energy is always less expensive that creating energy. Then we should maintain our own energy to fuel our economic growth. We must use the profits and proceeds from that resulting economic growth to fuel the transition to the entire portfolio of domestic renewable resources. The leaders of the Native American tribes looked for impacts over seven generations. Our political system looks at two year, four year, and six year horizons. Time to learn from our past mistakes while we have the luxury to grow our economy and not fall into the same conundrum when our reserves start depleting (all over again). I respectfully disagree with your premise. Demand is the incentive that creates supply, but it cannot in the long term exceed supply. Obviously, if the customer cannot access supply he will find another product …or another business. There really isn’t any need to explore to find more recoverable oil and gas beyond 80 to 100 years worth of demand. Why invest all that money for exploration? Maybe, if somehow exploration adds more to the book value of your company, than the exploration costs. Bottom line is we have more oil and gas in our shale formations than we ever expected. We are developing that resource very rapidly, and will soon be self supporting….no need for imports, and plenty left over for export. That is, providing the government does not stop it. Generosity and security for ourselves, global friends or our grandchildren? I would like to ask each of the experts to clarify something for me. Is it true that ALL energy experts agree that there is a limited supply of fossil fuels and chemicals? If so, what are bounds of the various extremes of these estimates? Then, regardless of the estimates, and if we wish to be generous to those of us dependent on those fuels for our economy and, in turn, also be generous to those around the world who need them as they have been generous to us in our own need, how would that impact our ability to be generous to our great grandchildren who might need these for their chemical value and not just their fuel value? (By that time, we may have many alternatives for energy but fewer alternatives for chemical applications.) Why should we hoard a disproportionate percentage for ourselves and make it impossible for our heirs to have any? Then, there is the cost of the financial, environmental and security cost of fuel transportation. How can we factor in environmental and security costs? If we wish to be more energy secure in light of what appears to be inevitable disruptions of long distance supply of anything, not to mention, energy resources, why not vary our sources of supply of energy and technologies as soon as possible so that all communities can become more energy secure? On the other hand, it might also make sense to create an orderly path to energy diversity. In light of that, might there be ways to reward traditional energy providers to create and foster that diversity? Is it enough for an enlightened consumer to reward that behavior? Many believe that those who make money selling fossil fuels have an inherent conflict of interests and will do little to help develop that diversity. But, if that diversity is necessary, might fossil fuel companies make serious investments to advance alternative sources? For example, it would be interesting to see a “natural gas” company begin to market themselves as a “natural energy” company in a way that would be compelling and believable. What are the chances that a citizenry, a government and a board of directors might all agree that it makes sense to manage energy resources for the long haul in a way that helps short term business plans? Would well crafted sustainable 100 year and 500 year scenarios inform a far more compelling month-to-month business case leading to robustly sustainable businesses? By Denisa Scott Chief Strategy Officer, KnowledgeBridge International. Inc.
With all due respect to those who have already posted very thoughtful answers (and additional questions) what I have never figured out is why we burn fossil fuels rather than use them as the manufacturing source material for energy collection and storage technologies and devices such as solar and hydrogen fuel cells, and for the manufacture of physical products which could then be recycled and re-purposed. It is bad enough that we have such feeble recycling technology/consumer demand that we have masses of plastic waste floating in our oceans, but worse, imho, is to burn this non-renewable resource, regardless of how many hundreds of years’ supply we “have”. Thoughts? It is good to see that the State Department (Mr. Finn) takes a geopolitically sophisticated view of global oil and gas instead of the historically and economically uninformed one typified by Mr. Sklar. According to the liberal school of international relations theory that has guided the building of international relationships and trade and institutions since WWII, globalization and the mutual economic interdependence of nations is good for peace and stability. Conversely, isolation and independence breed uncertainty, suspicion and conflict. 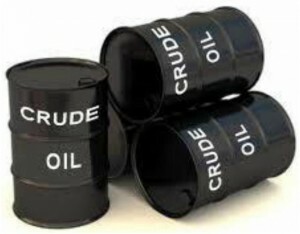 Crude oil is a value-dense, easily transportable, non-perishable, economically fundamental, universally needed, extremely versatile, and supremely fungible commodity. It is the ideal global market commodity. There are currently more than 80 oil-exporting nations, and US refineries buy some oil from virtually all of them each year. US and British development of the global oil industry in the 20th century and the post-WWII Bretton Woods System that effectively established the U.S. Dollar as the world’s reserve and international trade currency have together arguably done more to advance globalization and interdependence and international stability than all the resolutions passed and all the military missions dispatched by the UN. It is precisely because the developed world imports oil and other essential raw materials from the undeveloped and developing world that wealth and jobs are redistributed to the poorest people on the planet and their natural disasters and ethnic squabbles get any attention at all in the West. In considering the export question for U.S. oil, we first need to understand both the raw numbers and the meaning behind them. The USA currently imports 7.7 million barrels per day (MBPD) of crude oil, refines 16 MBPD, and exports 3.6 MBPD as finished petroleum fuels and other products. That means that only 4.1 MBPD are imported for domestic consumption, and that fully 22% of our refining and 47% of our imports are purely for resale as exports for profit. The USA has become the world’s largest export refinery, and the industry added 800,000 barrels per day of refining capacity just this past year for a total of 17.8 MBPD. The 8 MBPD of crude produced domestically plus the 4.2 MBPD from Canada and Mexico almost cover the full US domestic consumption of 12.5 MBPD, and soon will exceed it. The oil imported from the Persian Gulf and the rest of the world can be considered surplus feedstock imported to make use of excess US refining capacity in producing a lucrative export product — a very sensible and geopolitically-sound enterprise. Before the global crude oil price collapse of 1986, US domestic production was on an asymptotic glideslope to peak out at a sustained 9.5 MBPD. I predict that we are headed toward a similar maximum value now, but that it will again be undercut by a global price collapse as the world recognizes another glut. In my estimation, the next 1986 is likely to come before summer of 2016, and we will see prices for crude of $50-60 per barrel (2013 dollars) sustained for years afterward until the next cycle of perceived scarcity. – Oil is freely purchased by US refineries seeking the best price on the global open market, not by government agencies or according to government directives. – Global markets are volatile, but provide the best overall prices, averaging lower than regional market prices and much lower than local market prices. – Any interdiction of oil supplies or delivery routes anywhere in the world will affect the price of oil everywhere in the world (i.e., true global market dynamics). There is no price volatility benefit in domestic supply v. imports of crude oil. This is less true of natural gas (further explained below). – The USA currently imports 12.5% of its crude oil (~4% of its total primary energy) from Persian Gulf nations. This is the fraction vulnerable to closure of the Strait of Hormuz (SOH), and its loss could be rapidly compensated for with conservation or substituted by oil from Canada, Mexico, Nigeria, or a combination of the scores of other oil-exporting nations. – The above demonstrates that the US food supply and biofuel supply is more vulnerable to fertilizer embargo than the US oil economy is to oil embargo, and also demonstrates why liquid biofuels are not renewable and are a fool’s prescription for national security. – The US military, while it is the nation’s largest user of energy, used just over 2% of liquid transportation fuel and less than 1% of the nation’s overall energy at the peak of the Iraq and Afghanistan Wars in 2008. – The US Strategic Petroleum Reserve (SPR) holds 727 million barrels. In addition, commercial storage in the US now exceeds 350 million barrels. Both are currently nearly topped off. – If refined, the SPR represents two months of US domestic consumption or five years of military diesel and gasoline fuel needs (but only five months of US military jet fuel). – The US also has significant commercial underground natural gas storage that is nearly topped off. – How much oil is produced domestically is more a function of permitting and regulation regimes that impose higher costs compared to imports than it is a function of producible oil in the ground. It’s economics that drive where oil is produced and from whom it is purchased. With all of the above being said, I think that it does not matter much if the USA exports crude oil or not. Either way, increased quantities reach the global market and will bring down the global market price and broadly benefit US refineries and end users. In fact, since many US refineries are currently expensively configured to take crude that is heavier than domestic tight oil, it is probably more economic to trade that oil to others for imports that are more suitable feedstock. I also do not see it ever being economical to domestically produce the full 12.5 MBPD necessary to fully cover US domestic consumption (i.e. to achieve energy independence in crude oil), and that unrealistic and questionably beneficial goal should be recognized as the political red herring it is. However, gas exports are a bit different. Natural gas is much less storable and transportable than crude oil because of its lower volumetric energy density and limited shelf life as an expensive cryogenic liquid. For this reason, gas markets persist in being regional rather than global, and US natural gas trades domestically at about 1/4th price of Russian or Asian natural gas. In other words, natural gas is less fungible and more lossy as a global commodity. Rather than accept the significant losses in liquification and transport, I believe the US would better capitalize on its domestic boon of this resource by keeping domestic supplies high and local prices low and exporting this energy wealth instead embedded in petrochemicals (ammonia, methanol, ethylene), fertilizer (ammonium-nitrate), steel, and finished goods (cars, aircraft, heavy machinery), etc. This approach also serves the long-term interests of recovering some lost industrial base and jobs back to American shores. Some export of LNG to strategic nations — like some European Allies who are currently beholden to Russia, and to Japan who is willing to pay $16/MMBTU rather than restart its nuclear plants — may make sense. As another interesting geopolitical data point, it is noteworthy that the US Department of State has sponsored the Unconventional Gas Technical Engagement Program (UGTEP) which has partnered US oil majors with their counterparts in Poland, Ukraine, Jordan, India, Indonesia, and even China in helping them with extraction of tight gas resources. The underlying intent (Mr. Finn may like to comment) seems to be to free certain key nations from dependence on imports from unfriendly nations. The USA currently holds a decisive advantage in terrestrial and deep sea drilling technology as well as the petroleum engineering and academic base to make it work. Programs like UGTEP and the inevitable leakage of technology over time will eventually erode this advantage and lead to increased global oil production and further depressed prices. I believe the USA should fully exploit its cheap energy advantage while it exists. The coming competitive challenge is not the end of cheap fossil fuels, but the ubiquity of them.